Need your packaging to be gas flushed? 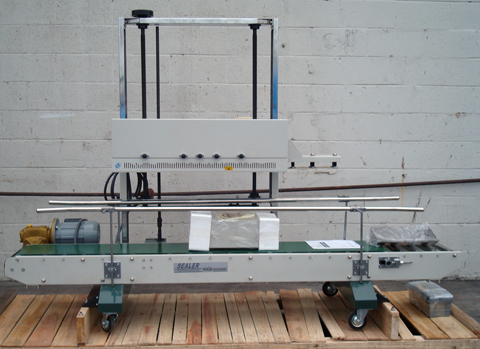 The RSV2675 Continuous Vertical Rapid Sealer™ is capable of sealing bags up to 50" in height. Perfect for packaging Kraft or thick laminated materials. With a dual set of heating blocks this machine was designed to seal the toughest materials. It will generate up to 300 C°, and can heat seal most materials used in flexible packaging. The RSV2675 is an industrial grade large frame machine that can increase production and reduce costs at an affordable price. 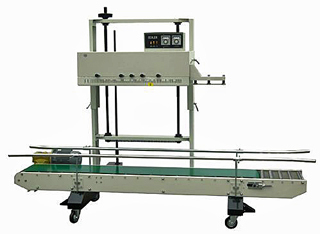 Sealing Width 0.125" - 0.5"
Width of conveyor 94.5" x 13.75"
We design and manufacture custom sealing equipment to meet the unique needs of our customers. In addition to new machinery we even retrofit our customers’ existing equipment, regardless of the brand.